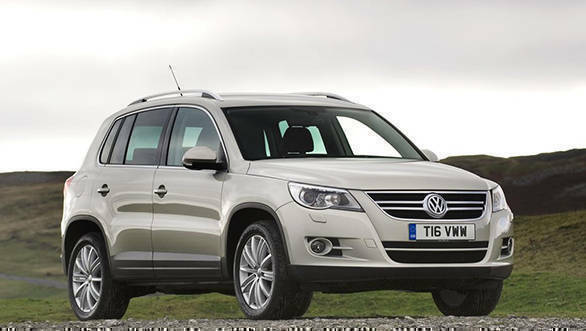 The Volkswagen Tiguan was one of the most anticipated cars by the German car manufacturer in India. The premium SUV, launched in India last year at Rs 27.68 lakh, rivals the likes of traditional SUVs like the Ford Endeavour, Toyota Fortuner and the Isuzu MU-X. The first generation Volkswagen Tiguan went on sale on January 31 2008 where the styling was majorly inspired by the larger Touareg. The first generation Volkswagen Tiguan was offered with a choice of a 150 PS TSI petrol engine or a 140 PS TDI diesel engine. Four trims comprised the range and the car had an infotainment system that included a touchscreen, satellite navigation and MP3 playback. Tiguan SE models featured the luxury of a six-CD autochanger. The list of features and the impressive performance of the powertrains made Volkswagen sell a total of 102,974 units. The present day new-gen Tiguan comes equipped with include electrically heated and adjustable door mirrors, automatic windscreen wipers and 17-inch alloy wheels. The infotainment system has developed significantly in the past decade, too, and all Tiguan's now include a colour touchscreen of at least 8.0-inches in size. Two mobile smartphones can be paired to the car via bluetooth. The company states that over the past 10 years Volkswagen has invested extensively in research and development and the results can be seen in the second generation Tiguan. 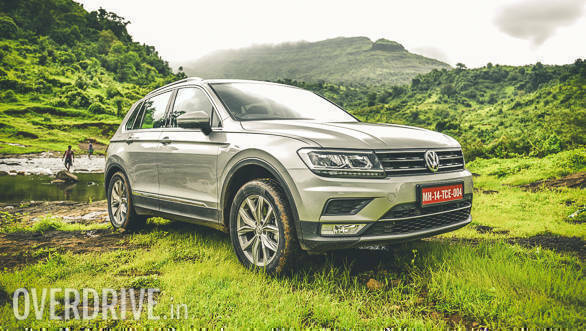 Volkswagen is nearing its sales of 1.5 lakh units of the Tiguan. The international market also has the Volkswagen Tiguan Allspace that's 109 mm longer than the regular Tiguan, and easily accommodates a third row seating. In India, the Volkswagen Tiguan is powered by the 2.0-litre TDI that makes 143PS and generates 340Nm. This motor is mated to a 7-speed DSG unit. The Tiguan comes with the brand's 4Motion all-wheel drive tech that splits the torque between the front and rear wheels. Volkswagen claims that this motor delivers an overall efficiency of 17.06kmpl.